Recently the cultural life of Moscow was marked by an unusual multi-genre ballet, “Crystal Palace.” The ballet is an international project of the European Foundation for Support of Culture (EUFSC), a non-profit organization that organizes cultural events all over the world, the State Kremlin Palace and the Association for Support of Cultural Initiatives. Composer Aleksey Shor, who was born in the former Soviet Union and later became a citizen of both Malta and the U.S., wrote the mesmerizing music for the ballet. Remarkably, Shor has no formal musical education, but is a mathematician by profession. He began composing music as a hobby a few years ago and was encouraged to continue by one of his friends. 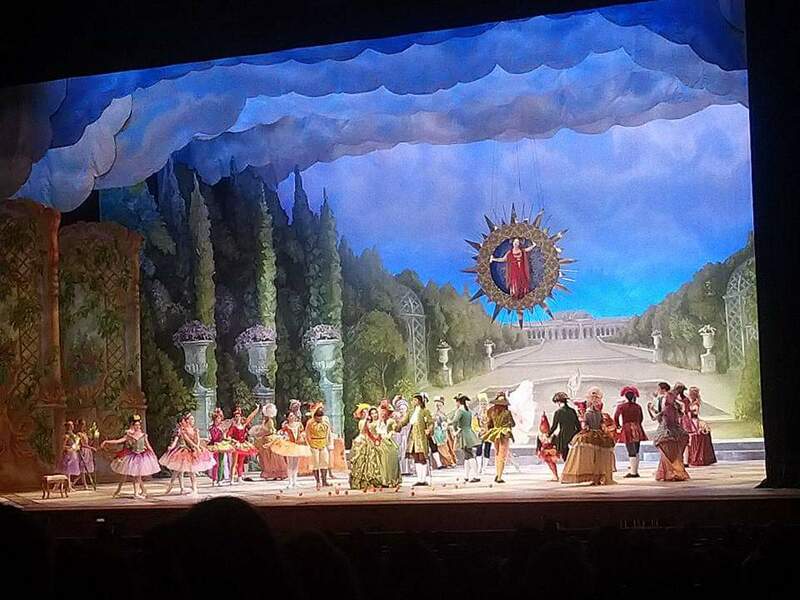 Shor stated that he could not be happier that his first ballet would engage a team of choreographers, dancers, and artists from the Bolshoi theater. The first performance of the ballet took place in Malta on July 21, 2017, celebrating diplomatic relations between Russia and Malta. 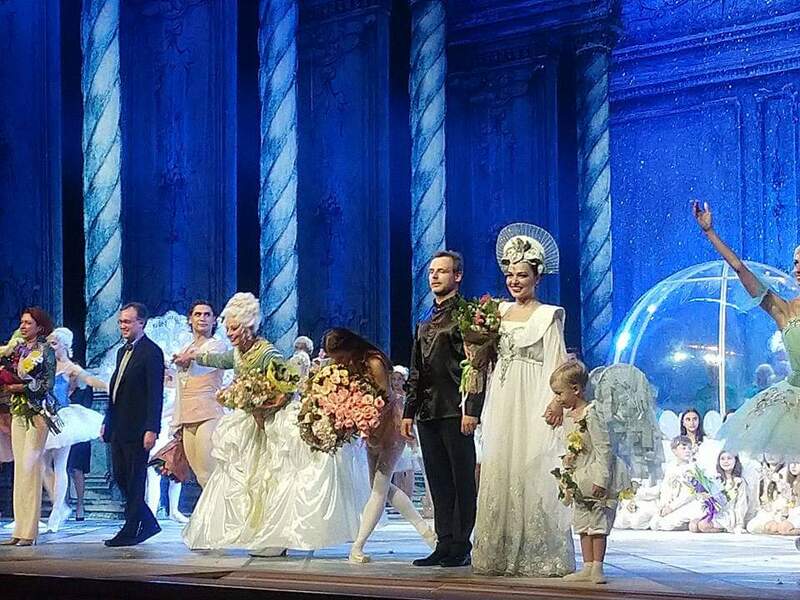 The Moscow premier engaged not only the renowned ballet stars of the Bolshoi – Ivan Vasilev and his wife and Bolshoi soloist Maria Vingradova – but also Bolshoi prima ballerina Maria Allash and Bolshoi Opera soprano Anna Nechaeva. The unexpected bonus was the participation of Ornella Muti, a famous Italian actress with Russian roots. Crystal palace is an unusual ballet because it is based on an historical episode during the rule of Empress Anna Ioanovna. The action is set in 18th century Saint Petersburg, then the capital of the Russian Empire. The city was founded in 1703 and the atmosphere of the Baroque, a popular style in Europe of that period, was emulated in the imperial capital as well. Another interesting fact is that Anna Ioanovna was the founder of the first Russian “Her Highness Dance School,” which later became the Academy of Russian ballet named for A. Vaganova. In order to recreate the baroque atmosphere of that historical period of Saint Petersburg, Bolshoi stage designer Sergei Timonin and costume designer Elena Netsvetaeva-Dolgaeva, undertook extensive research using historical archives and paying close attention to the details. As a result, the stage decorations and costumes appeared as authentic as historically possible. Live Thoroughbred horses and Borzoi dogs were part of the production and contributed to the atmosphere of the 18th century Russian Baroque. It was quite a view to see Ornella Muti, who played Anna Ioanovna the Empress, riding the horse professionally wearing period costumes and an elaborate headdress. The music itself recreated the atmosphere of 18th century Russia even though it was written by a modern composer who did not try to reconstruct the music of that time, but created something totally unique and immensely beautiful. The historical fact that took place under the rule of Anna Ioanovna who was fond of elaborate celebrations and unusual entertainment, became the inspiration for the Crystal Palace. 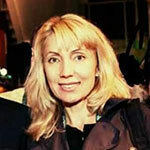 Unlike her uncle Peter the Great who gained the reputation of a visionary and innovator, Anna Ioanovna was known for her eccentricity, even cruelty and vulgar sense of humor. At the end of a four-year war between Russia and the Ottoman Empire, the small territorial gains of Russia gave Anna Ioanovna enough reason to organize festivities in Saint Petersburg. It was an unusually cold winter, which prompted the Empress to order the construction of an ice palace built with icy steps, chairs, beds, windows and even an icy fireplace. She came up with an idea to host a wedding celebration in that palace. For the roles of the bride and groom she picked Price Golitsyn, whom she forced to become her court jester, and for the bride she chose a plain looking maid of the court. Prince Golytsin and his bride spent their wedding night in the ice palace. After riding an elephant in a cage through the streets of Saint Petersburg, the couple was stripped naked and placed inside a cold ice palace. A pearl necklace that a bridesmaid traded for a sheepskin from one of the guards prevented the newlyweds from freezing to death. The bride and groom survived the ordeal and outlived the empress who died later that year. The ice palace became a popular feature of St. Petersburg and the city constructed it every winter for some time. Alexey Shor admitted that he was fascinated by the unusual story and was inspired to compose the visual splendor of ballet, singing and the period costumes and decorations, which is now known as Crystal Palace Ballet.